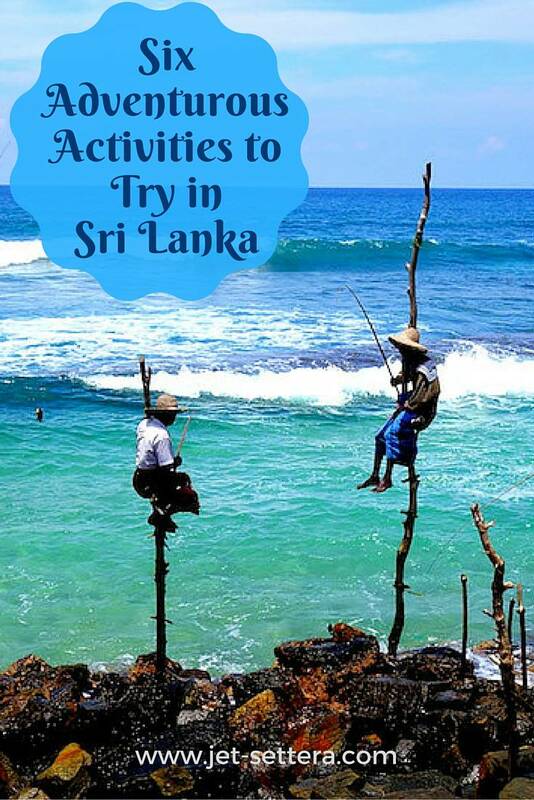 Check out this Sri Lanka itinerary by Drifter Planet for your next trip to Sri Lanka. If you need more reasons to visit Sri Lanka, check out this post here. 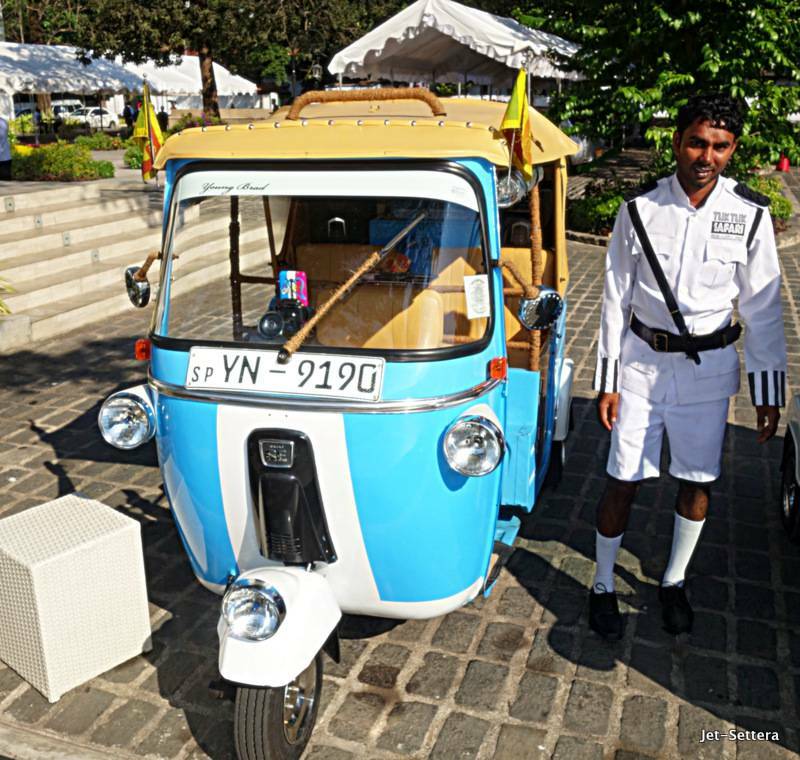 The quickest, most fun way to see Colombo is by racing down the streets in a Tuk Tuk. 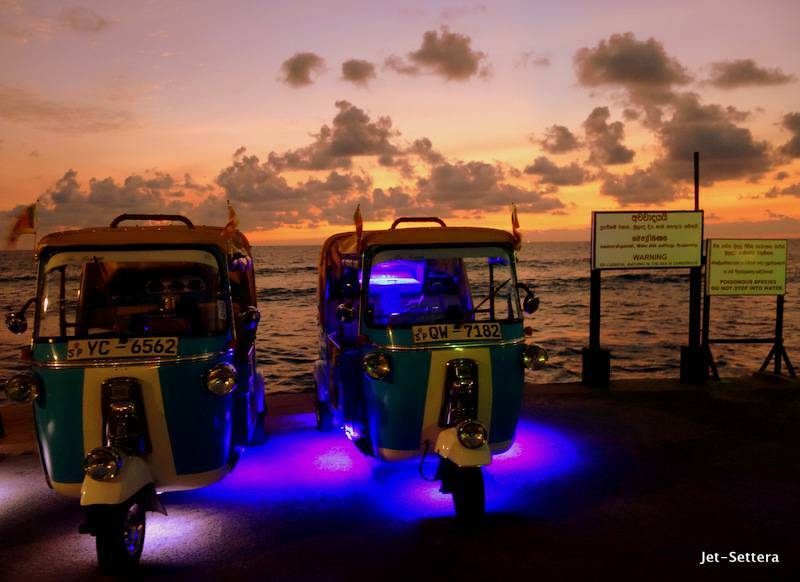 On your trip to Sri Lanka, hire the Tuk Tuk Safari to take you through the most important touristic sites of Colombo. The top can be opened up, so if you are adventurous enough, you can stand up, while the tuck tuck is racing down busy streets and markets and you can high five the locals on the streets. Many of them will stare and smile at you as you are racing down jam packed streets. The tour will stop on a street market and they will serve you some typical Sri Lankan street food such as hoppers and dhal. Don’t be afraid to try them, they are delicious. 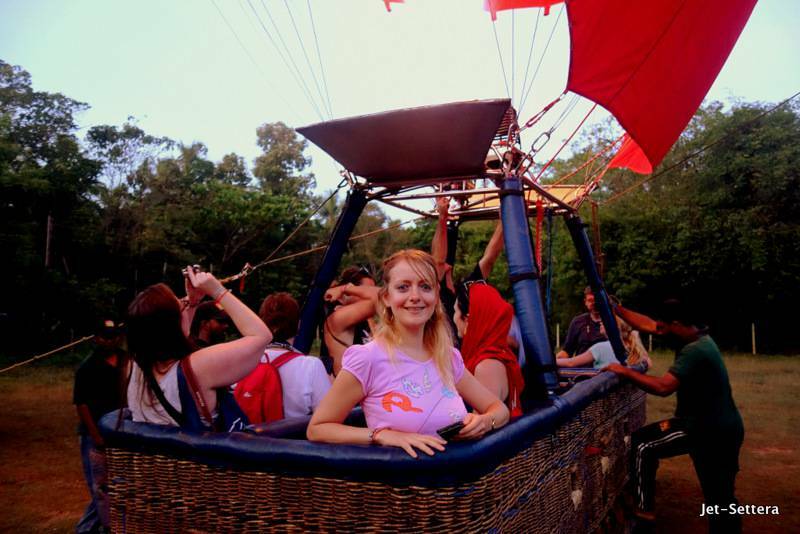 If you are an early riser, the best way to start your day is by watching the sunrise over Sigiriya in a hot-air balloon. Sigiriya is one of the best places to visit in Sri Lanka. Seeing it from a hot-air ballon is especially amazing. I was so scared when the balloon lifted up from the ground, but it was an amazing adventure to see the sun appearing behind the mountains and see the greenery of the Sri Lankan landscape below me. It was an unforgettable experience for all of us. Sigiriya rock from above is one of the coolest places to see in Sri Lanka. 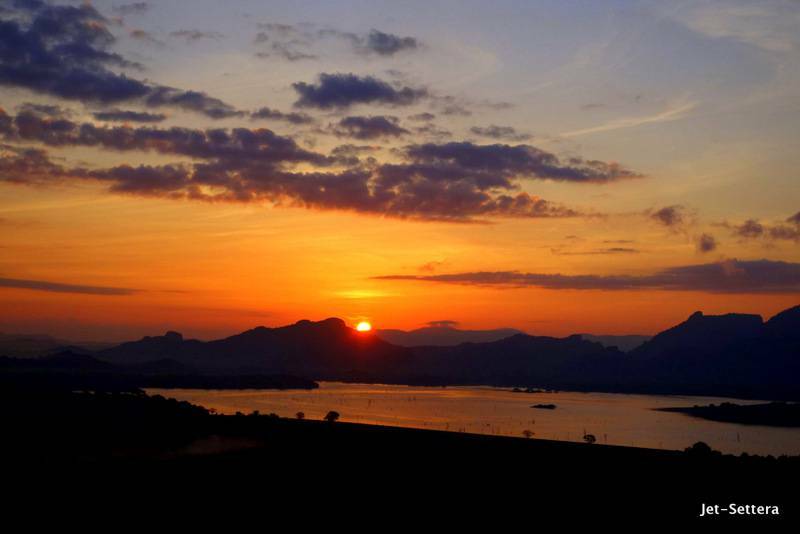 A hot-air ballooning adventure will surely make everyone’s holiday in Sri Lanka very memorable. 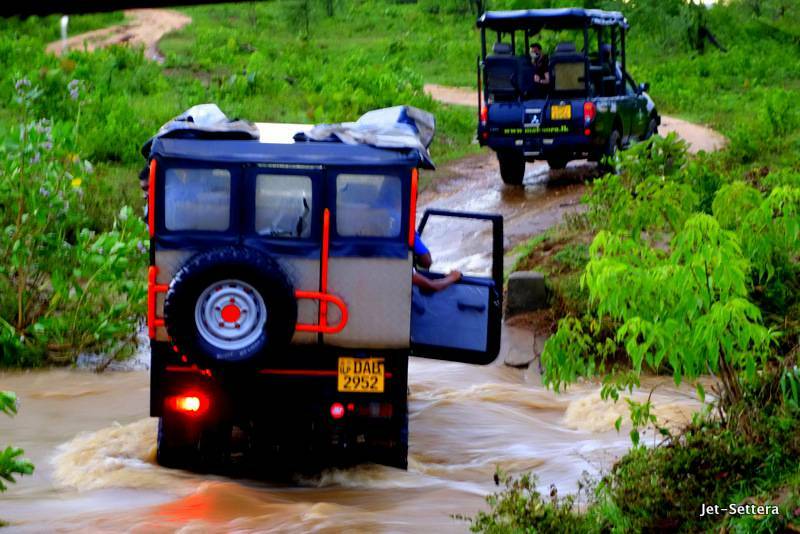 Hop on a Jeep and drive to Udawalawe National Park for a Safari. This national park is one of the best places to visit in Sri Lanka. 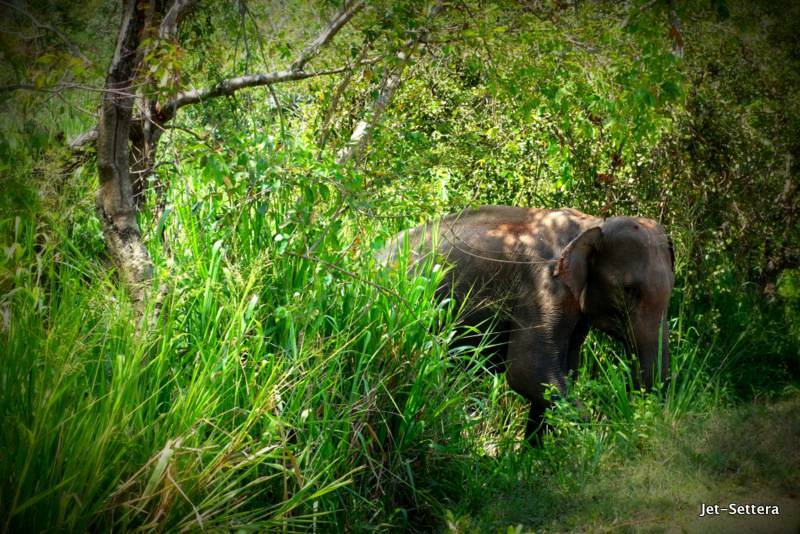 During a safari in Sri Lanka, you will see elephants, peacocks, birds, monkeys. The Jeep will drive through rivers and beautiful landscapes. It is a wonderful experience to explore the wildlife in Sri Lanka by visiting this fascinating park. It was one of the best tourist places in Sri Lanka. Charter a boat or a catamaran with a crew from SailLanka to explore the ocean life of the Indian Ocean. You will see hundreds of dolphins and whales swimming along your boat. It was an incredible experience to see all these lively animals swimming right along the boat jumping out of the crystal clear water. Whale watching in Sri Lanka is one of the best adventures you can do in this wonderful country. Mirissa Beach is one of the most reputable surf beaches of Asia. The water is crystal clear and the waves are powerful. It offers the ideal place for surfers to enjoy the forces of nature. Many tourists from all over the World travel to Sri Lanka for surfing. Hikkaduwa also serves as a famous surf beach, with some beautiful beaches and resorts.It is one of the best Sri Lanka tourist places. Read more about surfing by felow blogger Trisha Valermino on her blog P.S. I’m On My Way. Sri Lanka is one of the most underrated scuba diving destinations of Asia. The beaches in Sri Lanka are incredible. Skip Thailand and Indonesia, because there are more divers than fishes in the sea. Come diving to Sri Lanka for perfect visibility, to see whales, dolphins and colorful fishes and for fantastic wreck dives. The best dive sites of Sri Lanka are Barracuda Reef, Cargo Wreck, Panadura Wreck. Do you want to learn more about Sri Lanka? Read Dan’s ultimate guide to Sri Lanka. Disclosure: I participated in the above trip free of charge for the purpose of this article and the article reflects my unbiased opinion about the country. Tagged 6 adventurous activities in Sri Lanka, sailing the Indian Ocean.